When you think of European romantic destinations, we’re sure that Rome must be in the top of your list. You’ll most likely find it in most of the lists of famous travel magazines or tour operators. And that is why we decided to give you our top 3 most romantic hotels list in the stunningly beautiful Italian capital city. Find your eternal love in the eternal city; take a walk to the famous Trevi Fountain, try some of the most delicious dishes you’ve ever tried and make fabulous memories with your significant one in Rome! 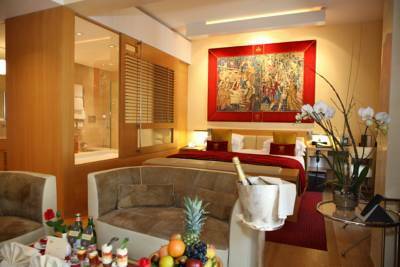 Spagna Royal Suite is situated only 300 meters from the famous Spanish Steps. 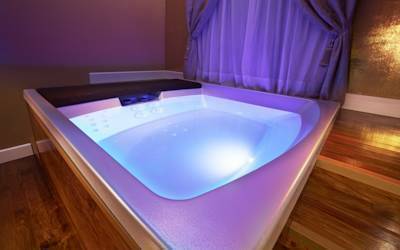 It’s a luxury hotel designed in an elegant style where rooms are stylish, uniquely decorated and perfect for couples in love. Each room has its own private bathroom with rain shower and chromotherapy; flat screen TV (well, who needs a TV here :), free WiFi, minibar, and of course, air conditioning. Basically, this place is a historical building that offers a true comfort and position from which you can explore Rome in an easy way. The hotel is a 5 minute walk from the metro station and only 100 meters far from the designer shopping street Via Condotti. 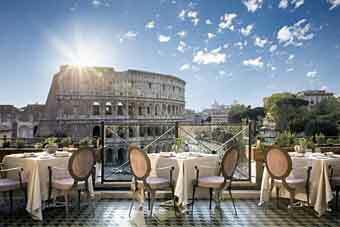 Hotel Palazzo Manfredi – Relais & Chateaux nestled right next to the spectacular Colosseum. Imagine drinking your morning coffee with the view of this ancient architectural treasure. With that great position, staying at the Hotel Palazzo Manfredi means that getting around Rome is a truly joy, without taking lots of transportation and spending too much time on the subway. What’s most inviting is, of course, the view of the ancient ruins from each room – rooms that all have amenities including bathrobes and slippers, minibars and pay-per-view channels. For cocktails, just find the hotel’s terrace and enjoy your time in Rome in style! 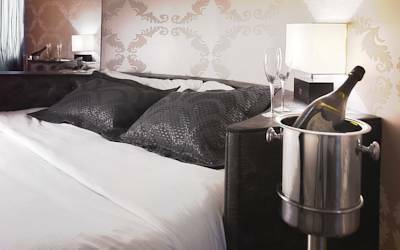 Hotel Raphael – Very close to the Piazza Navona and just a short walk away from the majority of Rome’s historic attractions. A roof terrace with panoramic views of Rome.offers deluxe rooms with marble bathrooms that feature bathrobes, slippers and courtesy by Bvlgari, while some rooms have an entertaining system by Bose. This 5 star marvelous place also serves a buffet breakfast every morning and for the perfect dinner – check hotel’s Relais Picasso restaurant or La Terrazza Bramante on the roof terrace.